with this incredible non-Photoshopped image. Those who know me and follow my writing on here or in any of the five magazines I regularly write for know I spend lots of time on Twitter where "my people" can be found. I call the #avgeeks are the kind of aviators I love to know...genuine people with a deep-down love of aviation that is 24/7. This dedication to aviation - eating, sleeping, thinking about flying and airplanes all day every day...and dreaming about them at night - it's what makes an #Avgeek into an Airplanista. It's hard not to be one without being the other. Yes, you can be crazy about this aviation family and be an Airplanista while barely knowing how to email someone...but that is a rare exception. Generally, people who fly airplanes - because of the multiple systems one must monitor to fly safely, plus the pre-flight gizmos we use to determine route and weather - are more technologically savvy than Average Joe or Jane on the street. That is the basis of an Airplanista being an #Avgeek...a love for technology as well as a love of flying. What follows is not a popularity contest, or any sort of "Who's Who" of the #Avgeek community on Twitter. I could fill 1,000 pages with listings like this because this group is growing daily. I have just perused a list I have as my main feed called "MyFaves" and these people percolated to the top because they tweet often and their content is of the highest quality. If you didn't make it into this post, it's not because I don't love ya', it's because in the rush to produce this article, I didn't have time to sift through the 400 or so Tweeps on my favorites list. This is down and dirty blogging...pounding it out as fast as my fingers can move. So I KNOW there will be a few VIP #avgeeks that I completely missed...I apologize in advance...so please, no flaming effigies on my front lawn. This is part one...in no particular order. Watch this blog in the coming days for the conclusion to this article. AV8RDAN'S COMMENTS: Larry is probably one of the most dedicated #Avgeeks you will find on Twitter. He exemplifies what it means to be an aviator, and is seriously the nicest dude you will meet at the airport. Is one of the two founders of Camp Bacon, the epicenter of the #Avgeek universe during EAA AirVenture Oshkosh. Runs a big tech company, has lots of grown kids, all as nice as he is. AV8RDAN'S COMMENTS: Easily the busiest woman in aviation. She raised a big family while building a career as an international airline pilot, and gets college degrees in her spare time, when not writing successful novels or updating her always interesting blog. Had a day off once, and put a putting green in her backyard. She makes over-achievers look like slackers, and Oh yeah, she's taller than you. AV8RDAN'S COMMENTS: Super nice guy, and like many #avgeeks, has a job in software development creating applications built on platforms and back-ends we mere mortals could never understand. Can usually be found at Oshkosh, somewhere in the vicinity of Camp Bacon. AV8RDAN'S COMMENTS: While I do not know all that much about her personally - except that she is really conversational and friendly, lives near the beach and treats her dog to frequent runs next to the surf - Tracey is a true blue #avgeek that will overcome just about any obstacle to make even one overnight stop at Camp Bacon. AV8RDAN'S COMMENTS: Part of the Other People's Airplanes crew, John is another highly social #avgeek that can usually be found editing video somewhere. Knows keystrokes to operate his keystrokes. If you need a boom mic, John can fabricate one from a Campbell's soup can, a ball of string, a random bag of old Radio Shack parts, a broomstick and a Swiffer. Yeah, he can do that. AV8RDAN'S COMMENTS: Airline pilot by day, author by night, "Cap'n Aux" likes to keep his writing light, fun and with a large dose of "been there, done that, got the shirt." Known to blog in formation, and has a GF that can probably bench press more than you while probably looking much better than you. AV8RDAN'S COMMENTS: Could be the nicest woman in the sky, flies Mooneys and will stop what she's doing to tell you why. Will jump in feet first to help another #Avgeek, and is a crazed, fanatical Oregon Ducks football fan. Loves her Flying Eyes Sunglasses, and has been known to follow the coast home to Oceano, CA. 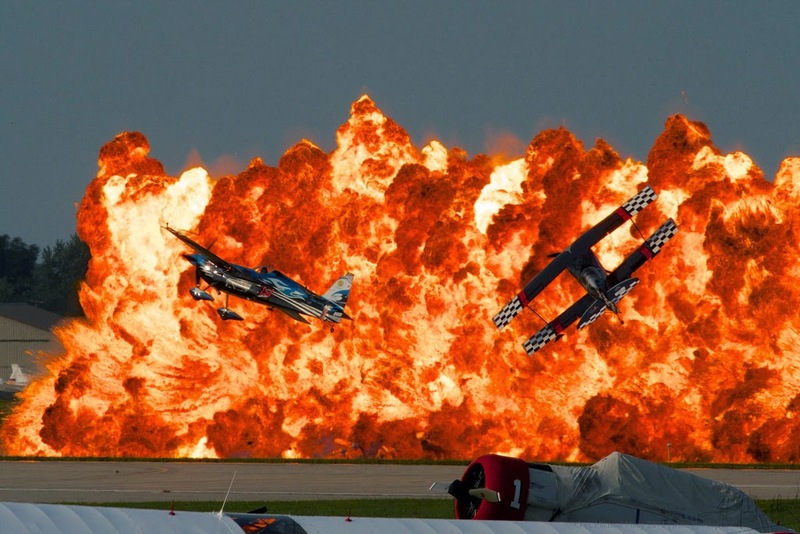 AV8RDAN'S COMMENTS: Easily the most straight up awesome dude you will meet at Oshkosh. Will bend over backwards to help another pilot, and knows more tricks about IT than a magician. Always has access to a golf cart at AirVenture, and is the "go-to" guy for all things video when you need to strap 101 GoPros to a helicopter to film a dude wearing a jet-powered wing falling from the landing skid. AV8RDAN'S COMMENTS: Never met him, but I know from many DMs that we are on the same page regarding just about everything. Knows more about Jimmy Buffett than Buffett himself. Has not stopped smiling since his boss - the guy he flies for - sold the Saratoga and upgraded to the current TBM 850. Likes to Instagram pics of his kids, but that's OK 'cause the kiddos are pretty cute. AV8RDAN'S COMMENTS: Never can remember if she is Thelma or Louise on her road trips to Oshkosh, but has been known to get 25 hours of excitement out of each 24 hour day she spends at AirVenture. Her friends and family are not quite sure about this #avgeek thang, but that's OK, she's just going to keep on admiring every airplane she meets. AV8RDAN'S COMMENTS: I've watched this young overachieving #avgeek grow up before my eyes, and the sight is great. From a smallish, rather shy kid who liked airplanes, this future CEO of an aviation company has been cross-training hard, and is now a maturing rock of a human. He still can out-geek almost anyone, and 50 years from now, he will sell his Gulfstream and get an hybrid electric/solar LSA made by Tesla Aviation that will keep him flying into retirement. AV8RDAN'S COMMENTS: OpenAirplane is one of the most innovative initiatives in all of aviation, because it solves the problem of having to pay for an insurance check ride each time you rent an airplane. Even if you've flown 100 different 172s, without OpenAirplane, you still have to prove to a CFI that you can fly the 172 you are trying to rent. That has always been hogwash. Thank you Team Rakic for putting this together and growing it nationally. AV8RDAN'S COMMENTS: Neil is...like @THM_18, a young #avgeek to watch. He will be flying for years, and always earns the respect of the aviators around him by being a decent young man on the way up. He's outspoken and not afraid to tell you his views, but he's always the first to help out on Twitter when a fellow #avgeek needs something. AV8RDAN'S COMMENTS: Mike is a very good aviation photographer...evidence of that leads off this post. He's also one of the most devoted #avgeeks you will find, and like so many others in this article, does something in the computer realm that nobody really understands. Is part of the Chicagoland arm of the #avgeek world, and my guess is he can lead you straight to the city's finest deep-dish pizza. 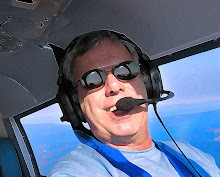 AV8RDAN'S COMMENTS: The Quarterback of Team OPA (Other People's Airplanes) Dave is a stand-up family man who divides his love between his family, his God, his tech gear and the #avgeek community. Can always be found at Oshkosh with a camera, microphone or mobile device in his hand. Never met a slice of bacon he didn't like. TWITTER PROFILE: I love airplanes. I take pictures of airplanes. My views are mine. AV8RDAN'S COMMENTS: Comes from the Great White North, and takes very nice photos of mostly warbirds. Can fill up a memory card in his dSLRs in record time. In his day job as an Airport Host, he can say "the restrooms are up there, on the right, eh" in 14 different languages, reportedly even in Swahili. AV8RDAN'S COMMENTS: Shelley was one of the first #avgeeks I "met" on Twitter, and I have so much in common with her, I make sure to see anything she posts. As her profile says, she's a "cockeyed optimist" and in my world, you score extra points for not being negative. She and husband Dean Siracusa are the force behind Flying Eyes "headset friendly" sunglasses, and she recently cut off the majority of her hair to donate for use by cancer patients when their Flying Eyes Indiegogo campaign hit the $20,000 goal. I do not know her personally, but I get the feeling we are old friends who just happen to have never met. She might also be the only #avgeek who actually understands why I love the TV program "So You Think You Can Dance." AV8RDAN'S COMMENTS: I do not know a lot about Jo, but like many of the #avgeeks in this article, I have a lot in common with her. We're both photographers, we both are owned by cats, and I wish I were a weather station operator. Oh, and when she visits the hippest city in my state, #Portlandia, she can be found at any one of the dozens of craft breweries on either side of the Willamette River. And she gets extra points by being from Austin, which I hear is on the same celestial plane as Eugene, in some weird, metaphysical way. 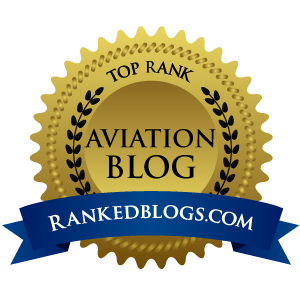 AV8RDAN'S COMMENTS: Super nice dude, excellent blogger, and knows a boatload about how to save money on flying. Wears very nice suits to work at a very large company that flies a monster fleet of jets, and has been known to take selfies in his RV-8, wearing the same nice suits. But get him on the flight line at Oshkosh, and he'll blend in to the crowd with his beat up cowboy hat, t-shirt and shorts.